Burial will follow at Plummerville Cemetery in Glenn. Never one for diamonds and pearls, Beverly Hamlin placed her riches in the finer things in life, like matters of the heart, laughter and the love of family. Whether family or friend, she was someone with whom others could rely. A stranger to none, Beverly easily became a forever friend and someone to lean on when times got tough. To know Beverly was to love her. Truly one of a kind, her uncanny sense of humor, caring ways, her “tell it like it was” nature and honest demeanor was to be admired. For all that she was and more, Beverly found her greatest joy in the family she absolutely adored. Beverly was simply Beverly, and loved abundantly by those who knew and loved her best. By 1932, the economy continued to deteriorate as a result of the Great Depression. Unemployment increased to over 24 percent with an astounding 13 million out of work. Many struggled to keep their families fed and a roof over their heads, yet the entertainment industry provided welcome relief from everyday worries. 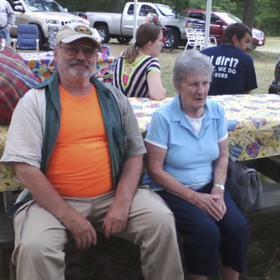 Despite the changes in the world around them, Charles and Doris (Kingsnorth) Wickham found much to be thankful for when they celebrated the birth of their little girl, Beverly, born on January 28, 1932, in South Haven, Michigan. 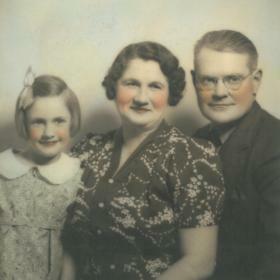 A child typical of her generation, Beverly grew up alongside her two older siblings, Brice and Wilma in the small community village of Lawrence in Van Buren County. She attended the Lawrence Schools through the 9th grade and as a young girl she loved ice-skating at the South Haven ice rink and also enjoyed roller skating. The place to be, South Haven offered a world of entertainment, including the Lake Michigan beaches for those living in nearby Lawrence. Beverly eventually landed a position working as an operator for Bell Telephone Company. Always one for a nice hot rod, it was during this time when she began dating a fellow named Art who was riding around town with his friend, Harley Hamlin. One evening Harley came over to Beverly’s unannounced, and there was clearly a spark between them. They began dating however, the girl Harley had been seeing announced she was expecting. While it broke Beverly’s heart, Harley did the right thing and married the other girl. Although their marriage ended, Harley was grateful to have taken on his son, Gerald. As fate would have it, there was no denying the connection between Beverly and Harley. They again began dating, and following a one and a half year courtship, they were happily married on September 24, 1949. Beverly took Harley’s son, Gerald as her own, and together they went on to add five more wonderful children into their lives with the addition of Charles, Linda, Tom, Ritchie, and Albert. 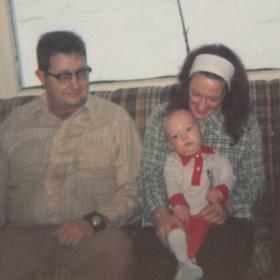 For a time they lived in Glenn, Michigan and while Harley supported their family as a semi-truck driver, Beverly remained at home raising the kids. In 1956 they moved to Kalamazoo to be closer to Harley’s work and with the kids a little older, Beverly began working at Kalamazoo Sled Company and worked there for a few years until they closed. She then went to work for National Waterlift where she remained until retiring. In 1967 they made Mattawan their forever home. Even though Harley was away a lot on the road, Beverly raised her family by way of example. She never minced any words, and they knew well never to challenge her. As parents, Beverly and Harley together raised their family with strong values, teaching them responsibility and a hard work ethic. They enjoyed yearly vacations together as a family where memorable and fun times were had by all. Beverly’s children will attest they had an incredible childhood and upbringing. Sometimes it wasn’t easy with such a large family and bustling household, but Beverly knew how to make the most of it. She was a great cook and always had a big Sunday dinner on the table with her delicious ham and potatoes and her scrumptious cakes were simply the best. Even though it may have seemed like Beverly had her hands full, she would not have wanted it any other way. She did enjoy bowling and was a member of a league at one point. Crocheting was one of her favorite pastimes, and she liked collecting Christmas villages. When it came to music, Beverly preferred old country. Being around her grandkids was always a delight, and she had a true heart for the holidays because of family, and the more the merrier! When her beloved Harley passed away in 2005, the love of family and friends saw Beverly through. In time she took a job in merchandising at Kohl’s Department Store for five years and for the last five years she lived in an apartment that suited her just fine. She had often played cards with her husband, and just recently took up card playing with one of her neighbors. 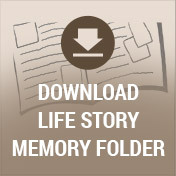 Over the last several years Beverly began experiencing some memory loss. While it was frustrating for her at times, she took it in stride and carried on.  On Thanksgiving Day, medical issues landed her in the emergency room where she sadly died. Beverly will be fondly remembered for her continued love of hot rods. She and Harley loved running their '69 red Dodge Charger hard on the streets. They had bought it brand new and it remains in the family to this day. To honor her love for the car, it will be the lead car in her funeral procession in remembrance of her. Yes, Beverly Hamlin was one of a kind! She could talk like a sailor with the best of them, and she had a great sense of humor right up to the last minute of her life. An all around great woman, Beverly was just as caring as she was feisty, and that was one of many things about her that made her so lovable. She never put on a show for anyone, and with ways all her own, she created lasting memories always to be treasured. 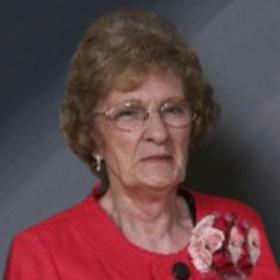 Beverly J. Hamlin, age 85, of Mattawan died Sunday, November 26, 2017 at Bronson Hospital. 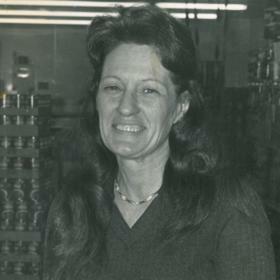 Beverly was preceded in death by her husband, Harley Hamlin in 2005; her siblings: Brice Wickham and Wilma Ridley; a nephew and a niece; four great-nephews and a great-niece. Surviving are her six children: Gerald (Becky) Hamlin, Charles (Jeannie) Hamlin, Linda (John) Ranes, Tom, Ritchie and Albert Hamlin; 11 grandchildren; 21 great-grandchildren; many nieces and nephews. Visit with family and friends on Thursday from 4-7pm at the Betzler & Thompson Life Story Funeral Home, 60900 M-40, Paw Paw (269) 657-3870 where services will be held on Friday at 11:00am. Burial will follow at Plummerville Cemetery in Glenn. Please visit Beverly’s personal web page at www.BetzlerFuneralHome.com where you can archive a favorite memory or photo and sign her online guestbook before coming to the funeral home. Memorial contributions may be made to a charity of one’s choice.